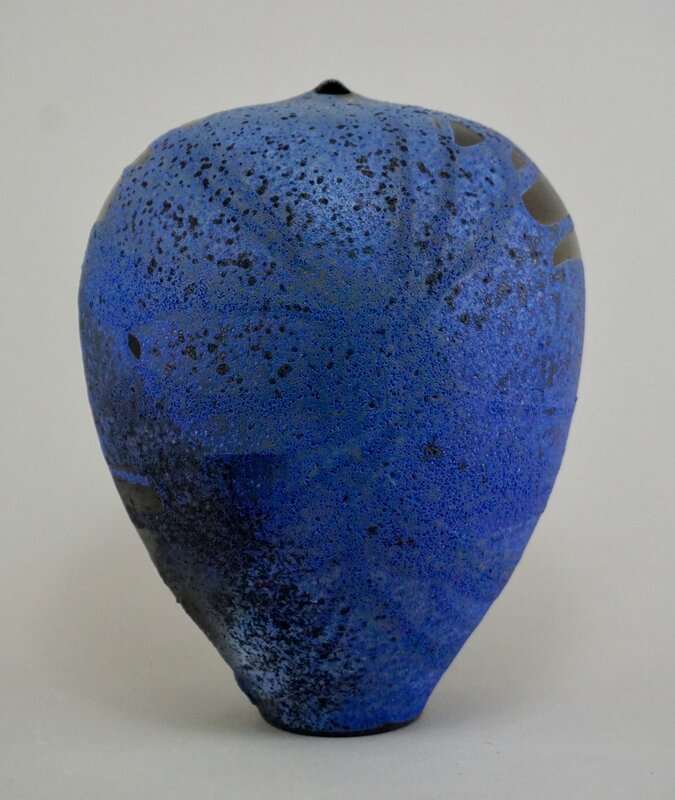 Raku Master and Resident Artist Thien Nguyen will give an artist talk to open his solo show of ethereal raku vessels at the District Clay Gallery. The show runs from June 30th to July 29th. When you pick up one of Thien's pieces, the reaction is that they seem almost impossibly light for their size. The dramatically flared yet astonishing thin shapes are the work of many years honing his craft. Nguyen has crafted shapes that feel mysterious, ancient, even totemic. His dramatic raku side-poured glazes create a sense of movement and drama that seems almost volcanic. Step back and enter a new, powerful world created by Thien Nguyen. I SEE POTTERY AS A WAY TO CONNECT WITH PEOPLE. I STARTED BY MAKING FUNCTIONAL PIECES THAT PEOPLE COULD USE IN THEIR DAILY ROUTINE. I WANTED TO MAKE UNIQUE AND BEAUTIFUL OBJECTS THAT COULD TURN ORDINARY ACTIVITIES INTO SPECIAL MOMENTS. OVER TIME, I STARTED EXPERIMENTING WITH DECORATIVE PIECES AS WELL, AND DISCOVERED IMMENSE EXCITEMENT IN THE FREEDOM IT GIVES ME TO EXPLORE SHAPES, TEXTURES AND GLAZES. CURRENTLY, I FOCUS MOSTLY ON WHEEL-THROWN RAKU VESSELS. I AM VERY METICULOUS WITH THE SHAPE OF EACH PIECE AND I TRY TO PUSH THE LIMITS OF THE CLAY, AND ALSO THE LIMITS OF MY THROWING SKILLS TO MAKE THEM AS BIG AND LIGHT AS I CAN. I WANT TO SURPRISE YOU WHEN YOU PICK IT UP. I AM LOOSE AND EXPERIMENTAL WITH THE GLAZING. I ALTER MY GLAZES TO GET NEW COLORS SO THAT EACH PIECE IS ALWAYS DIFFERENT. THE GLAZE IS POURED SO THAT IT FLOWS AND FINDS IT’S OWN PATH AROUND THE POT BECAUSE I LIKE THE ORGANIC LOOK OF IT AND THE CONTRAST BETWEEN THE GLAZED AND UNGLAZED SURFACES. I FIRE MY VESSELS USING THE AMERICAN RAKU TECHNIQUE. THE PIECES ARE HEATED TO 1800 DEGREES FAHRENHEIT, REMOVED FROM THE KILN AND PLACED IN A CONTAINER WITH SAWDUST TO SMOKE AND REDUCE. I TRY TO CONTROL FOR THE COLOR AND FINISH BUT THE APPEAL OF RAKUING IS THE VARIABLE EFFECT OF THE HEAT AND SMOKE ON THE FINAL PIECE. IT IS DIFFERENT EVERY TIME AND I NEVER KNOW WHAT I WILL GET UNTIL THE SMOKE CLEARS. I WANT PUSH THE LIMITS OF MY ABILITIES AND THE LIMITS OF THE CLAY. I WANT TO PUT LIFE, MOVEMENT AND ENERGY INTO MY PIECES. I WANT THEM TO BE ORGANIC AND DYNAMIC. I WANT THEM TO ELICIT AN EMOTION, A MEMORY, A THOUGHT. I WANT THEM TO OPEN A CONVERSATION.